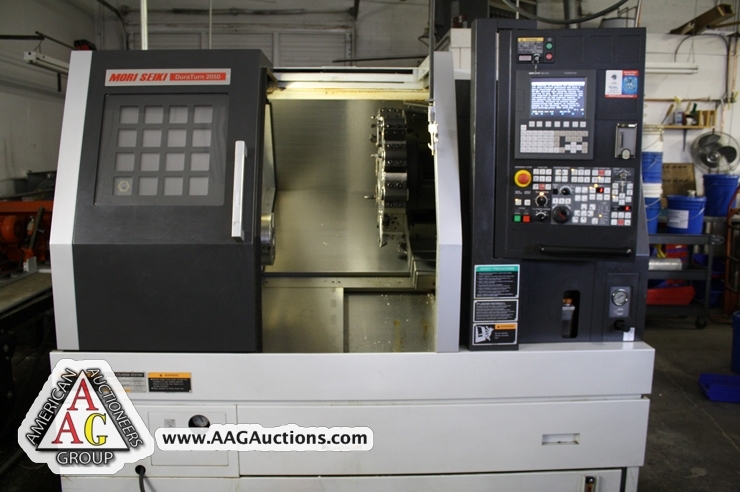 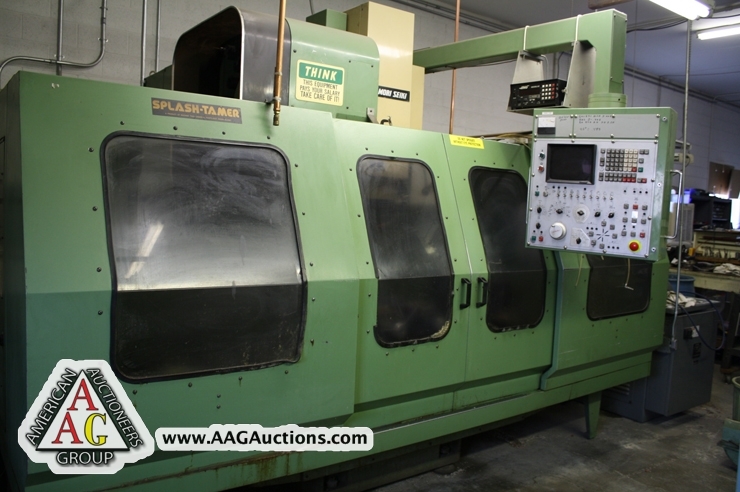 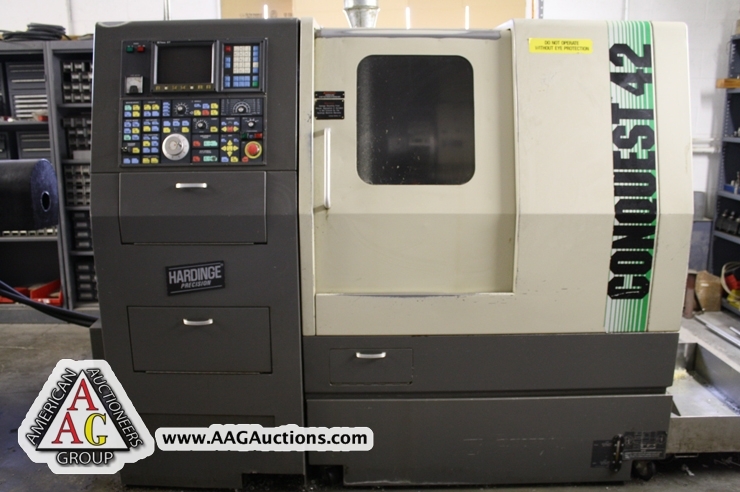 AUCTION DATE: THURSDAY, FEBRUARY 9, 2012 – STARTING @ 11:00 A.M.
BY ORDER OF OWNER FOR WESTMORLAND MACHINING INC.
MORI SEIKI SL-3H CNC LATHE WITH FANUC CONTROL, 2.5’’ THRU HOLE, 10’’ CHUCK, 15C COLLET CLOSURE, SMW OMNI BAR FEEDER, S/N 3357. 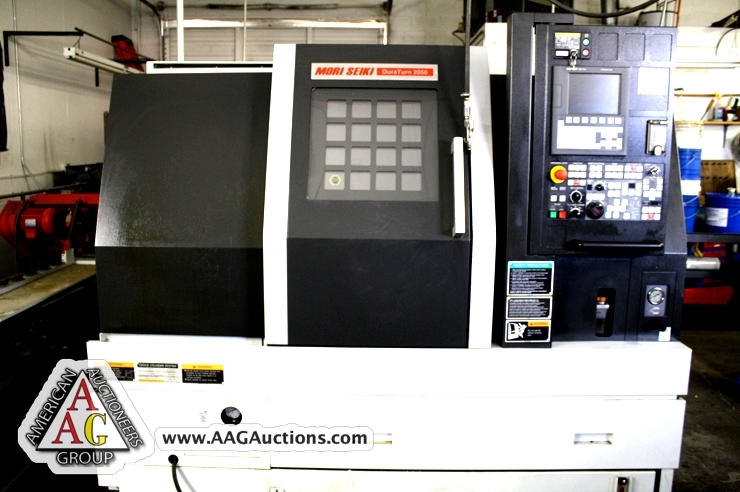 MORI SEIKI MV-35/40 CNC VMC, WITH FANUC 6MB CONTROL, FULL 4TH AXIS, 20 STATION ATC, CHIP CONVEYOR, 40 TAPER, S/N 269. 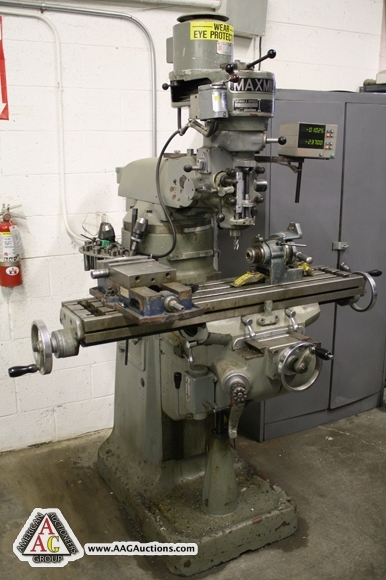 HAAS 4TH AXIS ROTARY TABLE WIT SERVO CONTROL. 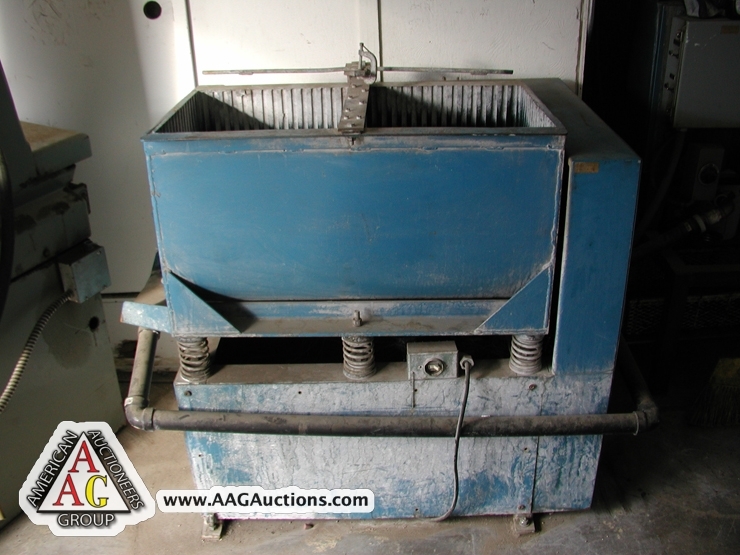 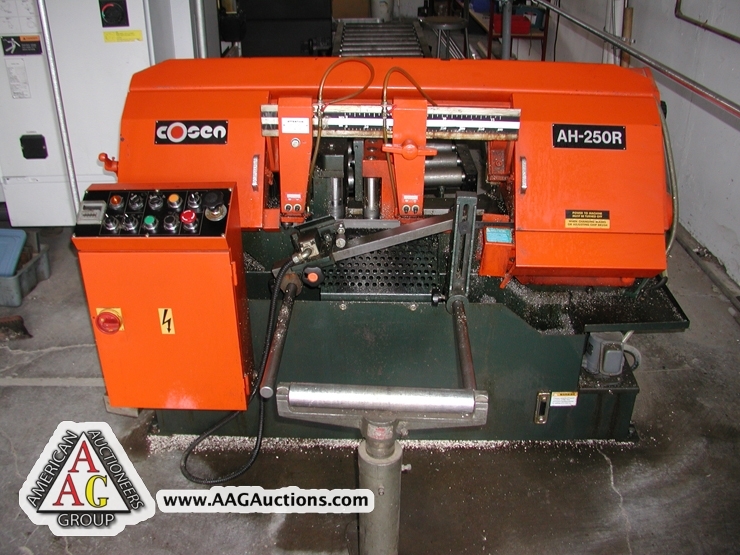 2008 COCEN MODEL AH-250R, FULLY AUTO ROLLER FEEDING HORIZONTAL BAND SAW, 10’’ CAPACITY, S/N H974533. 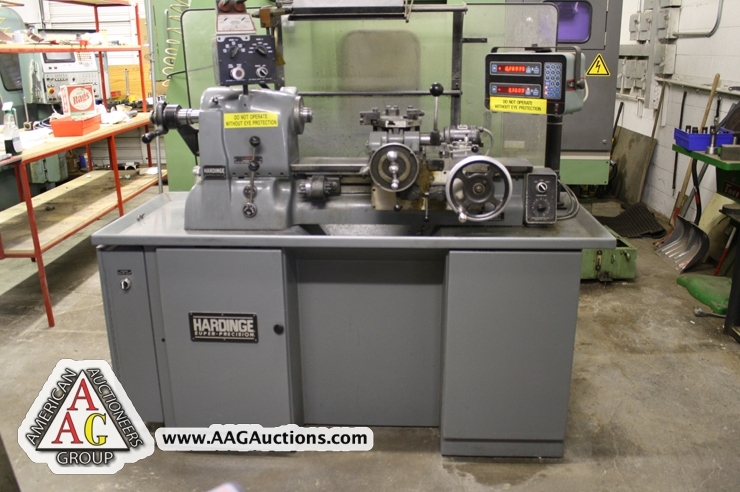 HARDINGE HC PRECSION CHUCKER WITH DRO, SUPER CLEAN, 125 TO 3000 RPM, S/N HC-8618T. 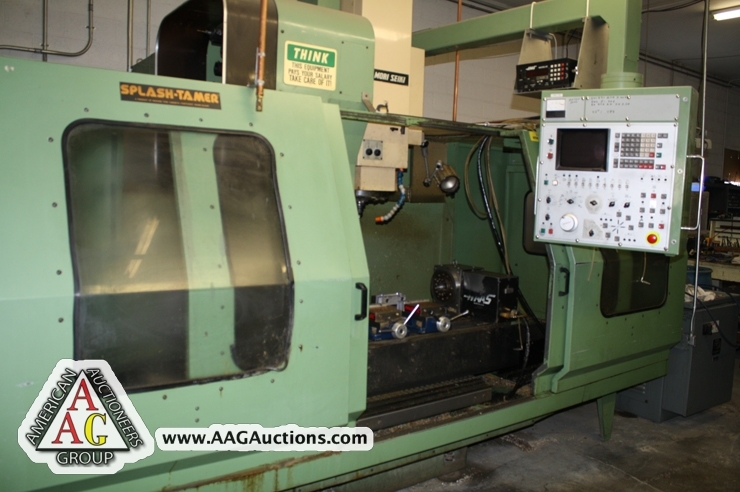 2007 MORI SEIKI DURA TURN 2050 CNC TURNING CENTER WITH FANUC MSC-504 CONTROL, 8’’ CHUCK, 2’’ THROUGH HOLE, PROGRAMMABLE TAIL STOCK, 12 STATION TURRET, S/N DT205GF0162. 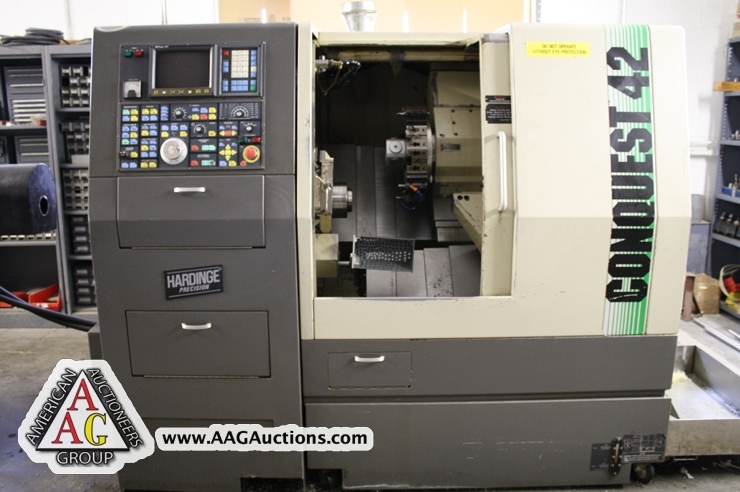 1989 HARDINGE CONQUEST 42 CNC TURNING CENTER WITH FANUC OT CONTROL, 8’’ CHUCK, LIVE TOOLED, 15C COLLET CLOSURE, HYDRAULIC TAIL STOCK, 10 STATION TURRET, 20FT HYDROBAR BAR FEED, S/N A13B-0139-BB50-O8. 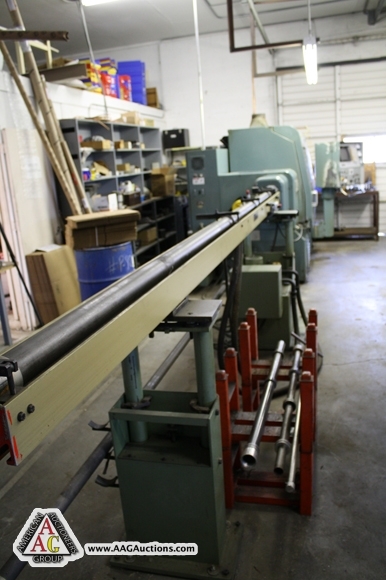 DO ALL MODEL 916-S HORIZONTAL BAND SAW. 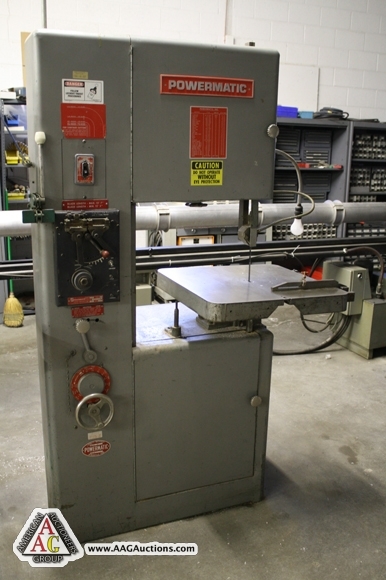 POWERMATIC 24’’ VERTICAL BAND SAW WITH WELDER, 4000 FPM. 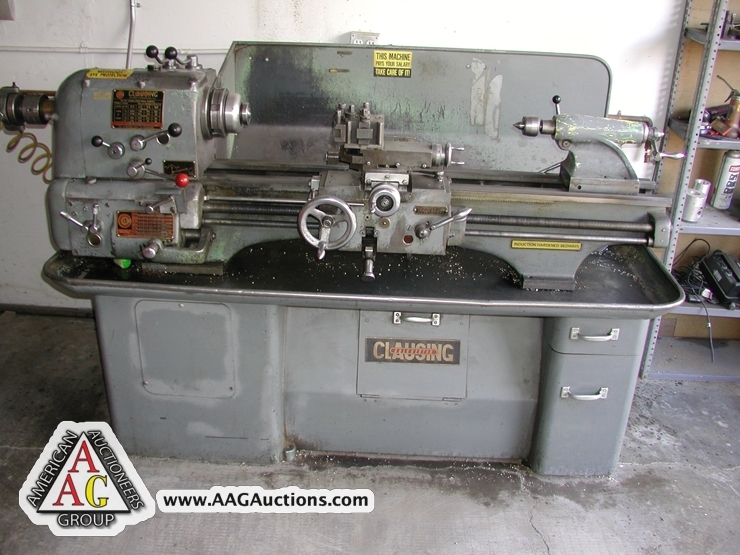 CLAUSING COLCHESTER 13 X 36 ENGINE LATHE, 1.5’’ THRU HOLE. 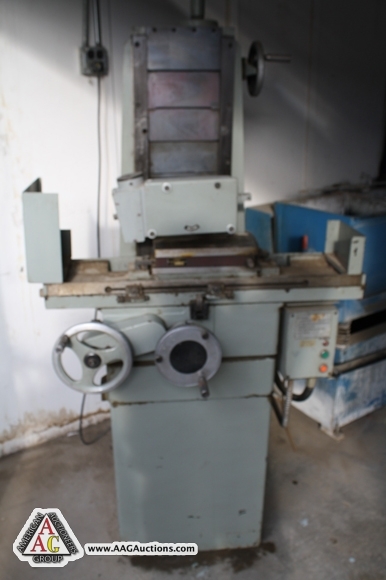 MANUAL SURFACE GRINDER 6 X 12’’. 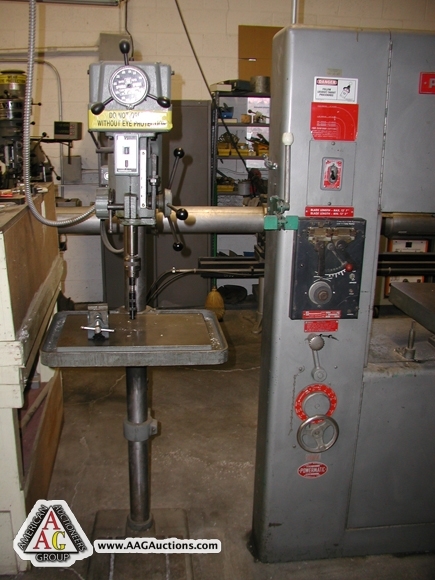 MAX MILL VERTICAL MILLING MACHINE WITH DRO. 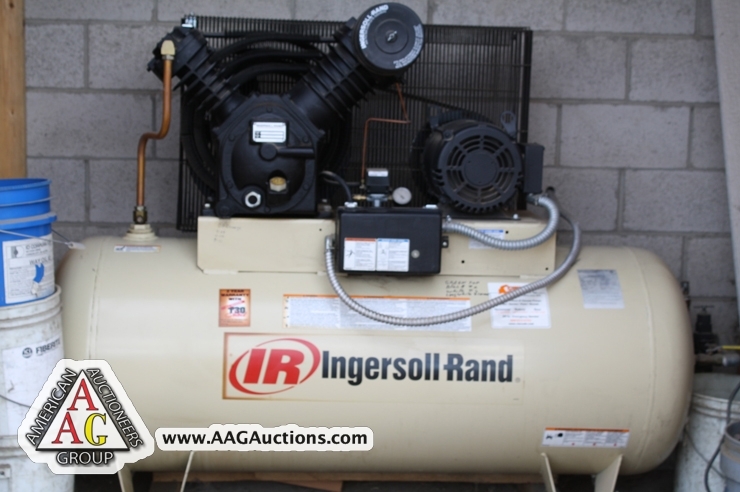 IR MODEL T-30 AIR COMPRESSOR, 10HP, 2 STAGE RECIPROCAL. 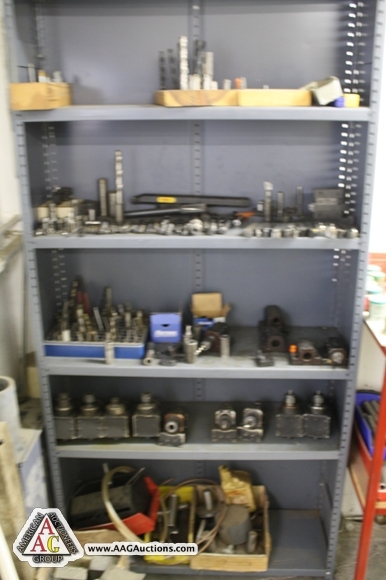 DAREX DRILL SHARPENERS, BELT SANDERS, DISC SANDERS, DRILL PRESSES, AIRCO TIG WELDER, TORCH SET. 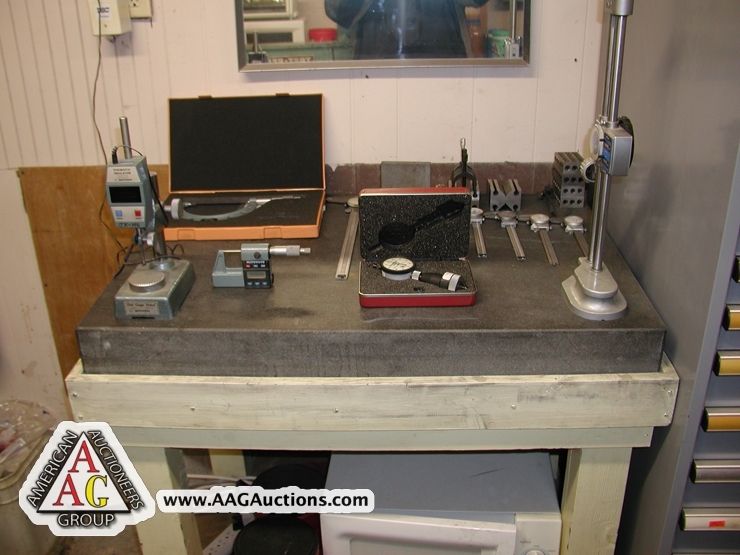 LARGE QUANTITY OF INSPECTION TOOLS, MITUTOYO GAGES, HEIGHT GAGES, CENTERS, MICS, CALIPERS, INSPECTION GRANITE BLOCKS. 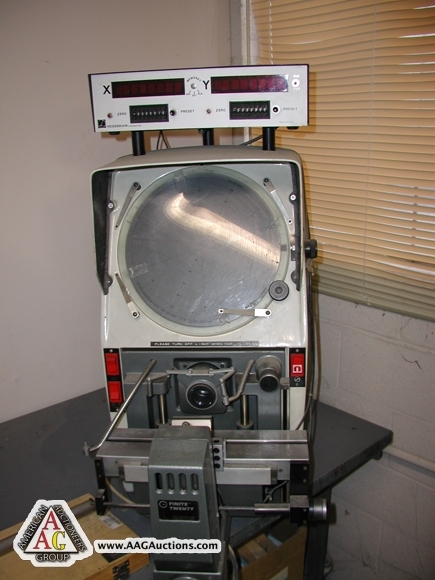 GAGE MASTER 12’’ OPTICAL COMPARATOR. 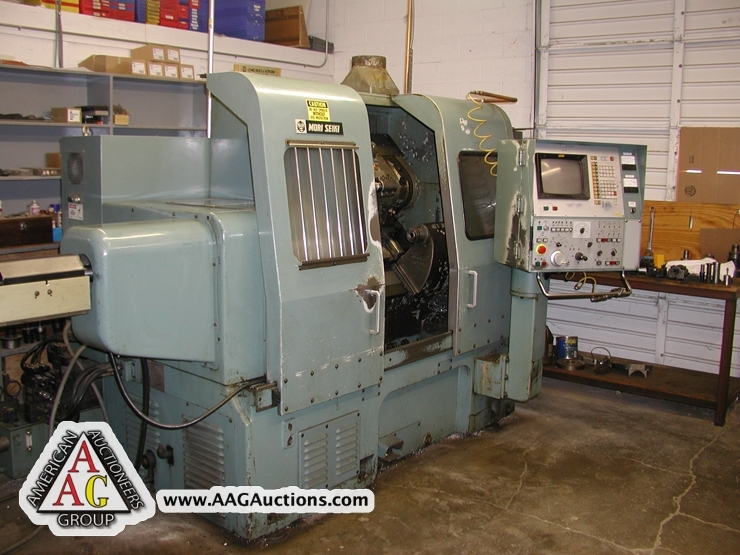 100’S OF PRECISION TOOLS, END MILLS, DRILLS, LISTA CABINETS, CUTTERS, 40 TAPER HOLDERS, CHUCKS, VISES, TOOLING, AND ETC. 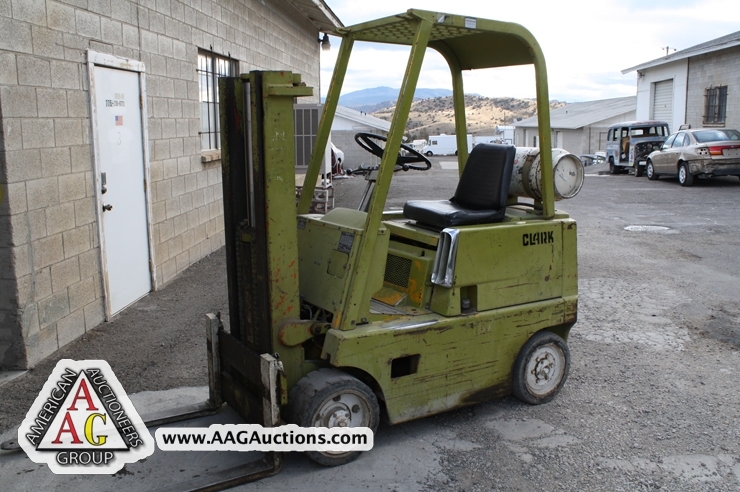 CLARK 4000 LB LPG FORKLIFT, MODEL C40B.